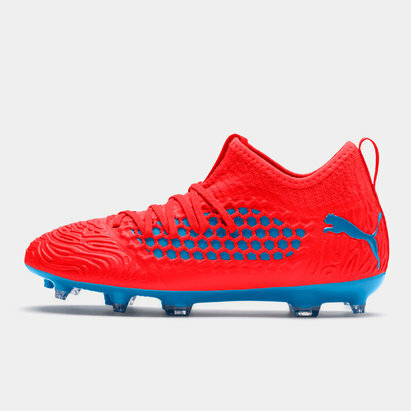 The new 19.3 boots are inspired by players who use their technique and skill to hack the game. 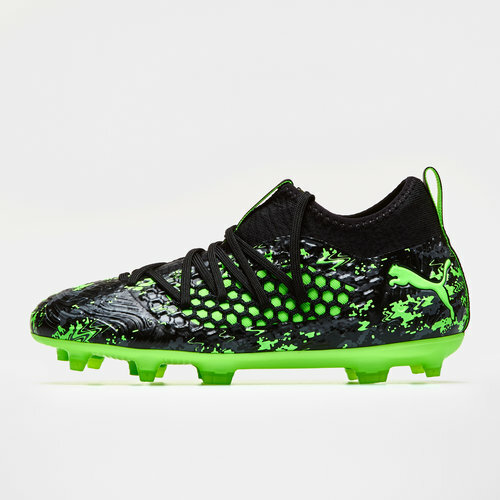 If you're ready to take your game to the next level these Puma Future 19.3 Netfit FG/AG Kids Football Boots in Black, Charcoal Grey and Green Gecko are the one's for you. 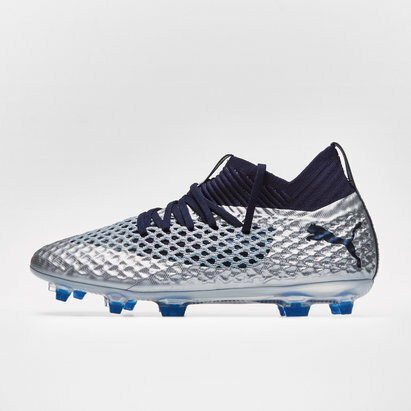 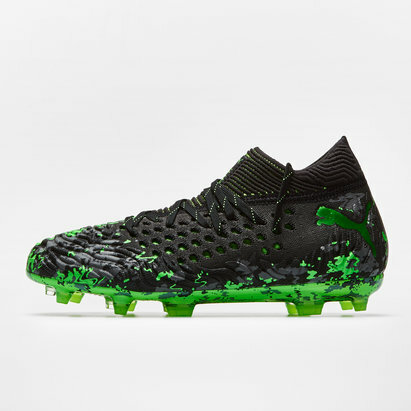 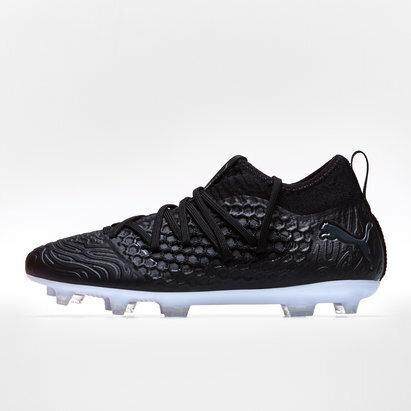 These boots come predominantly in a black colour with charcoal grey and green gecko colour detailing to have you standing out during those late night kick-offs. These boots are customed with the Netfit PUMA red net lacing technology for infinite lacing options and optimal fit. Described as being perfect for all types of footballer whether that be the goal machine, the showboater or the speedster.